Warsaw – The social partners in urban public transport, ETF and UITP, the International Association of Public Transport, hold the workshop Dialogue can shape the future of urban public transport on 30 and 31 January 2019 in Warsaw for Estonian, Latvian, Lithuanian, and Polish participants. The meeting gathered trade union leaders and urban public transport companies as employers. They spent two days discussing burning issues within the sector. 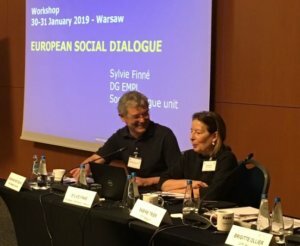 Sylvie Finné from the European Commission (Social Dialogue Unit, DG EMPL) was also present and the participants used the opportunity to address her with their questions related to functioning of sectoral social dialogue on the European level. One of the main issues raised in the workshop was digitalisation and the need for ongoing training for employees in all variety of positions, ranging from bus and tram drivers to maintenance workers. Amongst other challenges identified within the region was the shortage of drivers in urban public transport or gradual increase of the retirement age threshold. The attendees discussed also the issue of competitive tendering. They agreed that low prize of the service is usually favoured, regardless of other parameters, such as safety, security or working conditions of employees. ETF and trade unions representatives clearly stated that this is social dumping and race to the bottom. The group also discussed issues specifically concerning drivers in UPT. The debate focused on topics related to health and safety at work as well as on extensive working hours and the time workers often spend waiting at the end of the line with no rights to be remunerated for their “waiting time”. Furthermore, workers including women workers admitted to having difficulties to obtain access to facilities and toilets in particular, especially in smaller towns. However, working conditions may vary significantly from one employer to another. The participants also discussed possibilities for collective bargaining agreements and what can be covered by them. 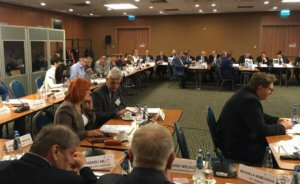 The event was organised within the framework of the project Social Dialogue in the Urban Public Transport Sector in Central and Eastern European Countries and gathered more than 50 people. The project aims tp promote European social dialogue in the region and raising awareness on the national level. 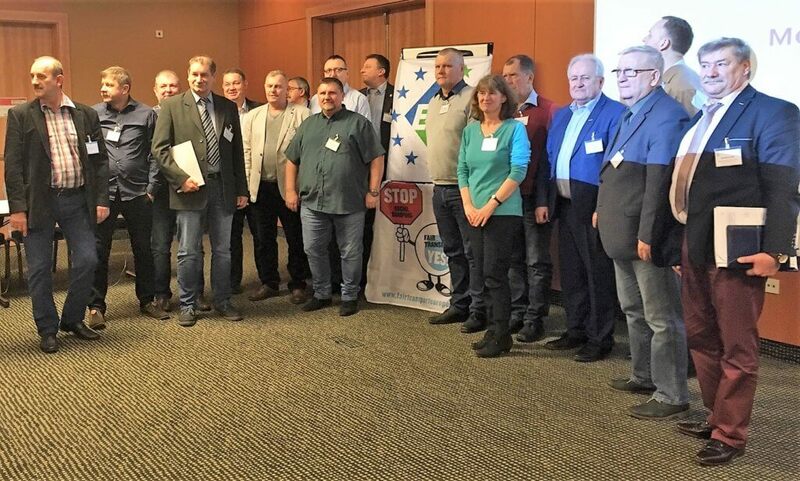 The meeting was also an occasion for trade union delegations to express their support for the ETF Fair Transport Campaign.